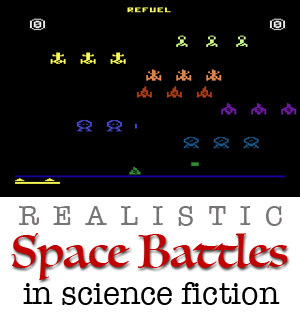 This article on space battles is part of the Science in Sci-fi, Fact in Fantasy blog series. Each week, we tackle one of the scientific or technological concepts pervasive in sci-fi (space travel, genetic engineering, artificial intelligence, etc.) with input from an expert. Please join the mailing list to be notified every time new content is posted. Michael Mammay graduated from the United States Military Academy and served as an Army officer for 27 years. He holds a masters degree in military history is a veteran of Desert Storm, Somalia, and the wars in Iraq and Afghanistan. In his spare time he writes science fiction and fantasy, usually with military influences. 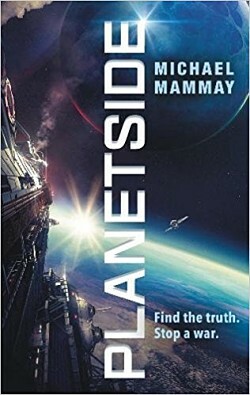 His debut novel Planetside was published in July 2018 by Harper Voyager. You should follow him on Twitter. It’s probably not news that the space battles you see in movies aren’t particularly realistic. Open any thread on Star Wars and you’re sure to find people pointing out a dozen things that defy the laws of physics. There are simple ones that most people know: Sound doesn’t travel through space, for example. But what would it really look like? While there are many things that go into realistic space combat, in this post I’ll talk about three factors that would influence those battles: Where the battles would happen, why most of it would be automated, and why you’d probably never actually see the enemy. 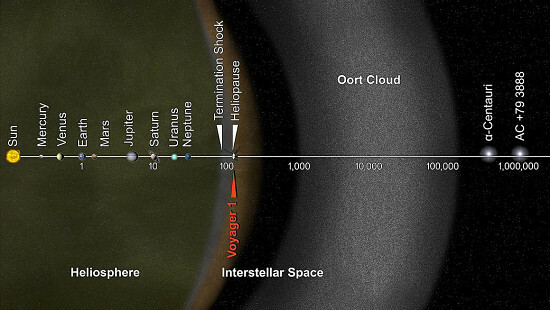 To quote Douglas Adams, from The Hitchiker’s Guide to the Galaxy, “Space is big. Really big. You just won’t believe how vastly hugely mind-bogglingly big it is.” Because it’s so big, there’s almost no chance you’d ever fight a battle there, because you’d never encounter the enemy. For example, say your space fleet is hanging out around earth. Say your fleet can go really fast. Let’s say 30 kilometers per second. That’s fast. For reference, that’s how fast the earth travels around the sun. It’s about 1/10,000 the speed of light, and it’s over 87 times the speed of sound (mach 87). It’s the speed that most asteroids hit the earth. Say you detect an alien fleet hanging out somewhere in the vicinity of Mars’ orbit. If you started out immediately to engage that fleet at full speed, it would take you about three weeks to reach it. That’s how big space is. And that’s if the enemy sits there and waits for you. If they move, you’d have to change course. We’ll talk about why that’s a problem later on in the post. Of course you can just speed up your ships in your fictional world, but that would mean the enemy would have faster ships, too, probably, and it really doesn’t matter. Space is way bigger than just Earth to Mars. If you went a hundred times faster than the previous example (now going 3000 km/s), you’d reach Mars in just a few hours. But at that new speed, it would still take you four weeks to reach Pluto’s orbit. So where would you fight? The best historical example we have of this is the Pacific Theater of World War II. The Pacific is big, and with the slow speed of the ships involved, the size created a situation similar to what we’d expect to see in space. If you look at the major naval battles from that theater, they all happened near land. They happened near some piece of ground that interested both sides. They didn’t find each other in the ocean. They met to contest something they both wanted. Translating this to a war in space, we would expect to see battles in places where both sides wanted to control something. It could be resources, either from a planet or an asteroid, or if you’re using something like jump points for faster than light travel, two forces might contest to control that point. What it comes down to is that holding space itself doesn’t matter. There needs to be something to focus both forces on the same spot to bring them together. In my novel, PLANETSIDE, they don’t fight in space at all. They go down to the planet and fight there. That’s not a great example, because in my galaxy, one side has a decided technological advantage over the other. 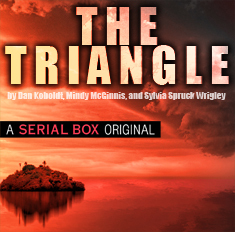 A great book where the author gets it right is Dauntless (The Lost Fleet #1) by Jack Campbell. If you want to read space-navy done well, you need this series. I have some bad news for you. The Cylons win. There’s a common saying that ‘speed kills.’ That’s not quite right. Acceleration kills. To be accurate, instead of speed, we will talk in velocity. Velocity is simply speed and direction. 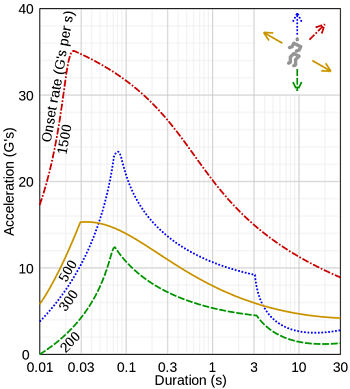 Acceleration is a change in velocity over time. So if an object changes speed and/or direction, it is accelerating (or decelerating, which is negative acceleration.) When there’s a significant acceleration, that force acts on the object, putting strain on the machine in question and the person inside it. Guess which one breaks first? We often refer to this as G-Force. There are a lot of factors that determine how much G-Force a human can survive over time. An average person can probably handle five Gs, while a trained pilot in a special suit can routinely pull nine Gs over short periods of time. But whatever number you use, the human is the weak point in the system. We can use suits, or maybe drugs to help a human survive higher Gs for longer durations, but it’s still not going to be as much as the machine can stand on its own. The machine can out-accelerate the human, meaning it can change speed faster and change direction faster. That’s a pretty tough advantage to overcome in a battle. There are no dogfights in space. I know they look really cool, which is why they happen in the movies. But in reality, at super high speeds, you simply can’t turn. Consider our space fighter from the previous example, travelling at 30 kilometers a second. She flies by the enemy, and now she wants to turn and get right on the enemy’s tail. If she starts turning at the rate of one degree per second…that means it would take her three minutes to make a u-turn (three minutes! ), she would pull over 50 Gs in that turn and pretty much turn herself into jello. But she wouldn’t turn. She’d use small thrusters to flip her ship and accelerate in the opposite direction. Let’s make her super-human, and say she can sustain ten Gs for long periods of time. To decelerate from 30 kilometers to zero, at ten Gs, it would take her just over five minutes. She could then accelerate back up to speed in the opposite direction in another five minutes. So ten minutes later, she’d be right on the enemy’s tail. If he stopped and waited. The race to develop combat spaceships would revolve around which side could make the machine that could handle the most G-Force and which side could develop the best AI to pilot it. You could also go with remotely piloted vehicles, but there would be a time lag, depending on the distance that your signal had to travel. 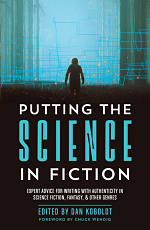 Some books that got this right include Joe Haldeman’s The Forever War, where they put human crews into liquid filled pods while computers fight the ship’s battles at high Gs, and The Expanse series, which regularly shows the effects of G-Force on humans and how they try to counter it via special seats and drugs. I talked above about how there aren’t dogfights in space, but more than that, the two fighting sides probably won’t see each other. Even in modern warfare, most air and naval battles would take place out of visual range. While you can see farther in space (because there’s no horizon), the distance between forces will increase so much that it won’t matter. 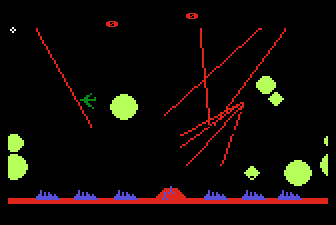 Actual footage of space warfare with missiles. Missiles, with no humans aboard, will accelerate faster than ships with humans, and projectiles fired in space will continue on their trajectory forever (or until another force acts upon them.) The battle could come down to who can get more missiles at the other side fastest and get through whatever missile defense the other side had. It also depends on what we mean by ‘see.’ There are a variety of sensors one could use to locate the enemy. A really hard one to defeat would be anything that detected heat signature. You can make your ship cold, but you can’t get it to match the 2.7 degrees Kelvin of space, no matter what you do. Even with the engine off, you’d generate heat, and that heat has to go somewhere that’s not inside your ship, or you’d eventually burn up. One thing is for sure; whatever means one side had for detecting enemy ships, the other would work to counter it. That could evolve over days and weeks, but it could also happen with AIs working in real time to try to fool the other side’s sensors. Much like in the Battle of Britain, an advantage in early detection technology could have a huge impact on a battle. I’ve only hit three aspects for creating realistic space battles. There are many, many more. It’s always fun to read how different authors get past these points. Some invent technology to render the physics irrelevant, which is fine, but my favorites always tend to deal with most of the problems realistically. Feel free to enter the comments below and talk about what books got it right.